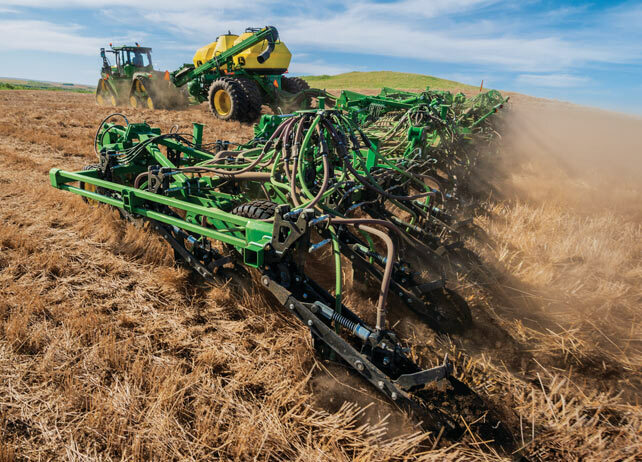 The 76-foot John Deere 1870 air seeder allows small grain and oilseed producers to plant more acres quicker than ever, while the John Deere C850 air cart accurately covers 170 acres per fill and easily seeds an entire quarter section. Naturally, by utilizing both of these machines, you can expect some pretty impressive results on the field. For this reason, we’ve compiled 14 videos that will help you on your way to getting the most out of these machines. Before we dive into the videos, we’d like to explain some of the key features and benefits of each. Small-grain producers are always trying to cover more acres per day. 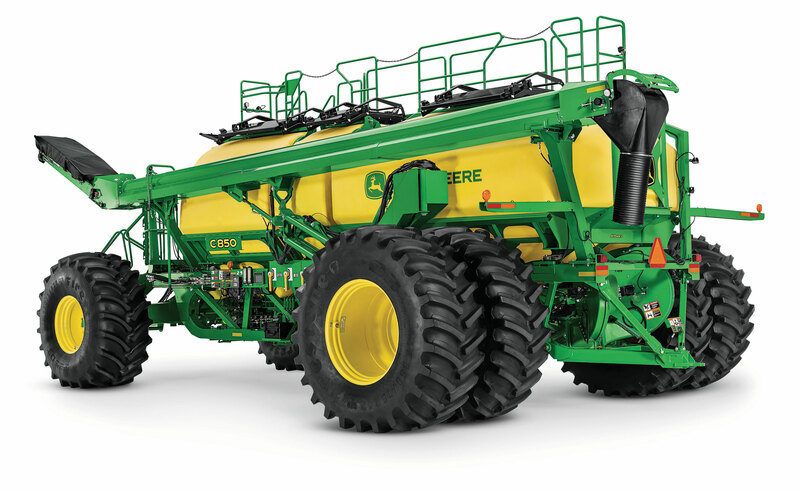 Thanks to the recent introduction of the company’s largest air cart to date, John Deere is aiming to allow producers to do just that with the C850. Producers understand when it comes to seeding with an air cart, it’s about more than just capacity. Success is also derived from the technology and productivity-enhancing features. Let’s take a closer look at some of the capabilities that do just that. Something special happened at the 2016 Canada Farm Progress Show. Not only was the show celebrating its 39th year with more than 40,000 attendees, nearly 700 exhibitors and representatives from 52 countries, but John Deere also had the chance to showcase some exciting new products. Loyal customers and fans that attended the show from all around the world got first row seats to see the new John Deere 1870 Air Seeder and John Deere C850 Air Cart. For those who didn’t get to attend the show, Farms.com put together a couple of videos that walk you through the important elements of each machine. Here they are!